The Hess name will disappear from gas station signs after a $2.87 billion deal to sell the chain to Marathon Petroleum's Speedway, but the holidays will still see the popular Hess toy truck. The deal gives Marathon Petroleum the retail operations of Hess, the largest chain of company-operated gas stations and convenience stores on the East Coast. The Hess stations will all be rebranded as Speedway over three years, the company said. 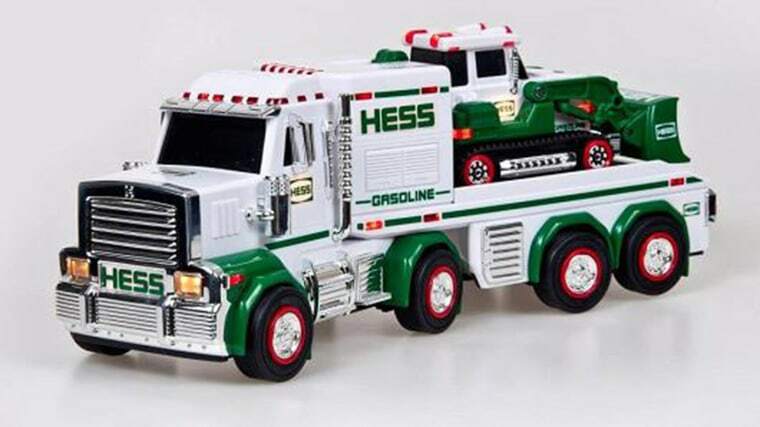 It also keeps the Hess toy truck on holiday wish lists — as they will still be sold at Hess retail stores and online this year. Starting in 2015, Hess plans to sell the toy trucks online. Hess said this year will mark the 50th anniversary of the toy trucks, an institution on the East Coast, where TV commercials promoting each year's entry are commonly seen.